You can depend on C-Serv to provide stress-free, on-time and on-budget services for your office furniture installation or furniture assembly. We’re passionate about and committed to being your service provider and will provide a seamless experience for you through every phase of your workplace transformation project. C-Serv offers years of experience in office furniture installation and commercial furniture assembly working with all furniture types and all the top brands. Look to C-Serv to handle all your assembly and installation projects seamlessly and cost-effectively. Versatile as cubicles or workstations, modular units provide flexible office furniture that can be quickly installed and reconfigured to meet an organization’s evolving needs. Whether you’re welcoming new employees, downsizing or revitalizing the workspace layout, C-Serv will install any furniture brand quickly, efficiently and with minimal interruptions to your business operations. Systems furniture, that includes panel systems, demountable partitions, worksurfaces, storage and other components, are designed to be adaptable and functional. C-Serv offers expertise with all the top system furniture brands so you can be confident your installation is handled quickly and cost-effectively. Partition walls help divide the workspace, provide privacy, enable power/data cable routing, and can enhance aesthetics in open office environments. 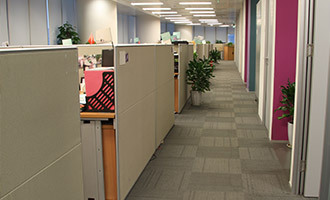 Cubicles offer these benefits plus help reduce noise in the workplace. With decades of experience, C-Serv will work with your architects and commercial designers to install partition walls and cubicle panels to your specifications. Casework and modular benching can provide durable solutions in office, healthcare, military, government, laboratory and educational facilities. C-Serv provides years of experience in assembling and installing casework and modular benching in various settings. Our expertise ensures that your casework and modular benching is assembled and installed to your unique requirements. Most organizations today strive for digital storage of data, but access to legacy paper copies of records is often vital. C-Serv installs high-density lateral file cabinets, shelving units, sliding and rotary cabinets for offices, schools, libraries, museums and other organizations to ensure the safe storage of vital documents, products, and other assets. Seating is a key consideration when selecting office furniture. The options you choose can improve employee ergonomics and health, plus help attract new talent by enhancing office aesthetics and reflecting fresh workplace design trends. Our expertise in installing all office furniture types and all the top product lines. We provide you with an exceptional, error-free experience. RDI – receive, deliver, install – services available. We can receive products either on-site or initially at our facility and happily accommodate your project requirements. We give regular status communications throughout the project to keep you informed and address any of your questions or concerns so your project stays on track. The C-Serv Turnkey Installation Service Plan provides end-to-end project management, including coordinating (and procuring, as necessary) all sub-contractor services for your project. We manage all phases start to finish to ensure you or your client’s full satisfaction. We manage all installation project details from A to Z and ensure an efficient, stress-free experience. We can procure, as needed, the services of sub-contractors, such as electricians and data cablers and others for your project. The C-Serv Standard Installation Service Plan delivers expert installation and furniture assembly services working under your direction. You tell us what you need and when you need it, we’ll provide experienced, expert services. We work under your direction, providing the services you need, when you need them. We coordinate with your team, your general contractor and other sub-contractors and vendors. C-Serv has earned its reputation as a top service provider in Central Texas for office furniture installation by providing exceptional experiences to clients since 2005. C-Serv has the expertise to deliver smooth office transitions for corporate campuses of all sizes. Our goal is to minimize workplace disruptions by providing accurate project planning, dependable service and the attention to detail that comes from years of experience working with large corporations. You can depend on C-Serv to professionally handle your office furniture installation and furniture assembly project details from start to finish. We’ve accomplished more than 5000 projects successfully. We go the extra mile to address potential issues in the planning phase and keep your project on track. Your absolute satisfaction is our goal. C-Serv has coordinated with municipal, state, federal and military sectors agencies on all types of workplace transformations. We provide both turnkey and standard installation services, plus have experience working with the furniture dealers under GSA and TXMAS contracts. We make sure to cross all the t’s and dot all the i’s. C-Serv’s dedication to precise project planning ensures that your laboratory furniture installations are completed correctly, on time, and to your exacting standards. 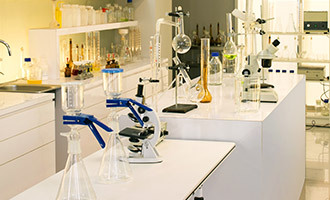 Extra precautions are taken for the proper handling, packaging, transportation and to safeguard the installation of your lab furniture and special equipment. Our attentive service team provides you with step-by-step communication throughout the entire project so you’ll be confident all installation details are handled accurately. Rely on C-Serv to provide efficient standard installation or RDI (receive, deliver, install) services for the education sector. We’ve been contracted by schools and colleges throughout Texas to install furniture at classrooms, lecture halls, science labs, and other collaborative learning environments. Our educational sector partners select C-Serv again and again because they value our commitment to meticulous planning and unmatched service. We recognize that healthcare is an industry of constant change due to evolving laws and legal regulations. C-Serv can assist through furniture installation and reconfiguration services that provide the attention to detail you need to address FDA requirements. Our expertise working with the top brands assures “right the first time” furniture assembly and installation with minimal disruptions at your facility. We’ll complete your project on time and on budget through either our Standard Service plan that works with your internal team, or through our Turnkey Service plans that handles entire project details from A to Z.
C-Serv provides high-quality and stress-free office furniture installation and project management service plans tailored to our individual partners’ needs. Office Furniture Dealers value C-Serv’s dedication to providing high quality, dependable service. We make sure every facet of your office furniture installation matches or exceeds expectations. We appreciate being your sub-contractor and we make certain your clients are satisfied with the services we provide. C-Serv provides Office Managers with turnkey and standard service options for your office moving or office furniture installation projects. We’ve consistently won awards for our reliable, on-time service that save time and money. Let us show you why Office Managers throughout Central Texas work with us again and again. C-Serv recognizes that Operations Managers and Facilities Managers are focused, hard-working and busy throughout the workday. To help reduce this burden, we pledge to deliver our core values – hard work, reliability, efficiency and accountability – on every project. C-Serv works with you to ensure the workplace transition project is completed smoothly, on-time and on-budget. C-Serv acknowledges the challenges of our General Contractor partners who often work under tight project timelines and juggle many details with vendors and suppliers. Rest assured, we have your back! Proactive communication and providing reliable service is the way great teams work together. We are always committed to being on-time and to-spec for any of your furniture installation projects. We help you save time so you can deliver client projects faster and more efficiently. We work with Commercial Real Estate Agent and Property Project Management Consultant partners through all phases of the project to ensure their client experiences exceptional service. For new installations or existing workspace reconfigurations, our reliable, hard-working service team provide you with status reports and addresses any concerns you have throughout the project. We work hard to achieve your complete satisfaction. C-Serv helps Architects and Interior designers easily apply their vision to transform workplaces. We can manage all logistical details from receiving, delivering to installation for you. We take into account your FF & E specifications and provide regular communications so you’re always aware of the status of the project. Let us demonstrate how we’ve earned our reputation as one of the most trusted business service providers in Central Texas. C-Serv is pleased to provide you with a free project proposal and quote. Submit your project details and let us help you streamline your office furniture installation, or commercial furniture assembly project!